This celebration is for BOTH SEP Softball Club teams and Recreation League teams. NOTE: The Rec League Tournament will be June 18-21st. 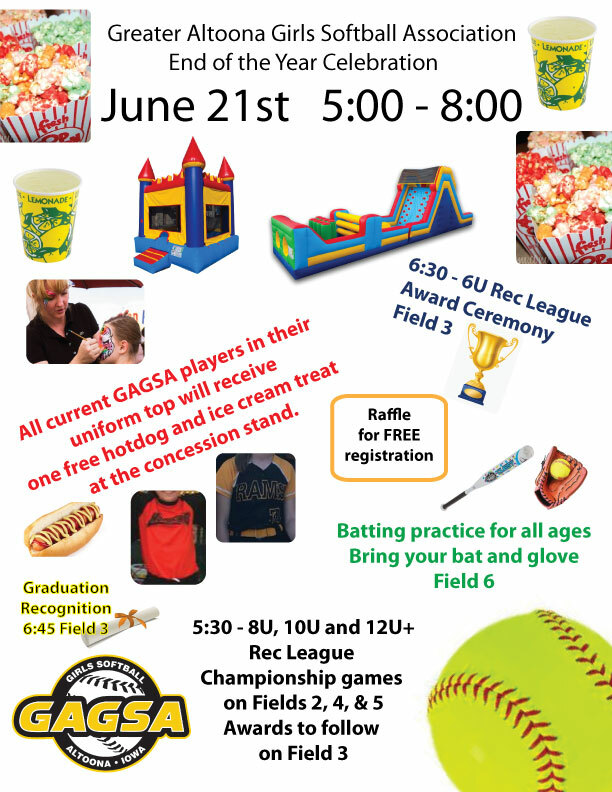 All current GAGSA players in their uniform top will receive one free hotdog and ice cream treat at the concession stand. 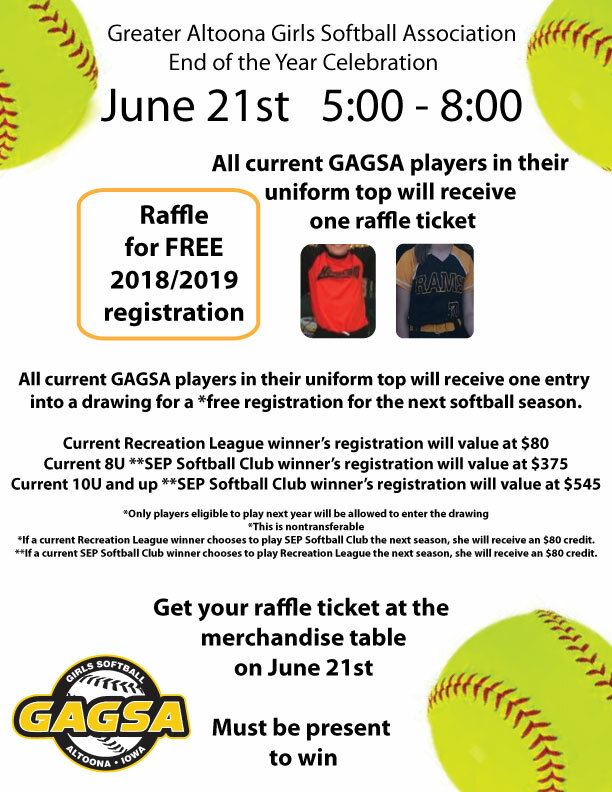 All current GAGSA players in their uniform top will receive one entry into a drawing for a free registration for the next softball season. Raffle tickets will be available at the spirit wear table. 5:00 - 7:30 - Equipment return. *Recreation league awards for regular league standing will be awarded at last tournament game played before this date.